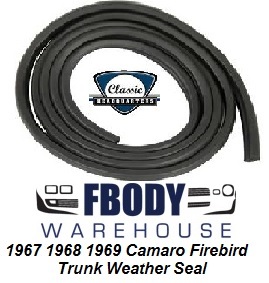 This is a new replacement trunk weather seal for use on 1967 1968 1969 Camaro and Firebird. This unit is 151 inches long to give you extra length for a clean installation. Features dense foam construction with exact profile as GM unit. Soft and pliable just like GM.